The flight from Yangon to San Francisco takes about 18 hours. In many ways, these cities are worlds apart. The real journey between two different places always requires curiosity, determination and passion for the unknown. For Chaw Chaw Su San (BFA Fashion Styling) it was the dream of fashion that had brought her from Myanmar to California four years ago. She enrolled at Academy of Art University as a Fashion Design student. During her freshman year, she realized that Styling was her true calling and decisively switched her major. Since then her work has appeared in the pages of many magazines including Sicky, Vulkan, Glassbook, HUF, and even Vogue Italia (online). Known for a strong sense of storytelling and offbeat aesthetic, she channels her personal experience of bridging inter-cultural gap(s) into cohesive vision of beauty that goes beyond mix-and-matching vintage with contemporary, menswear with womens wear, and haute couture with fast fashion pieces. 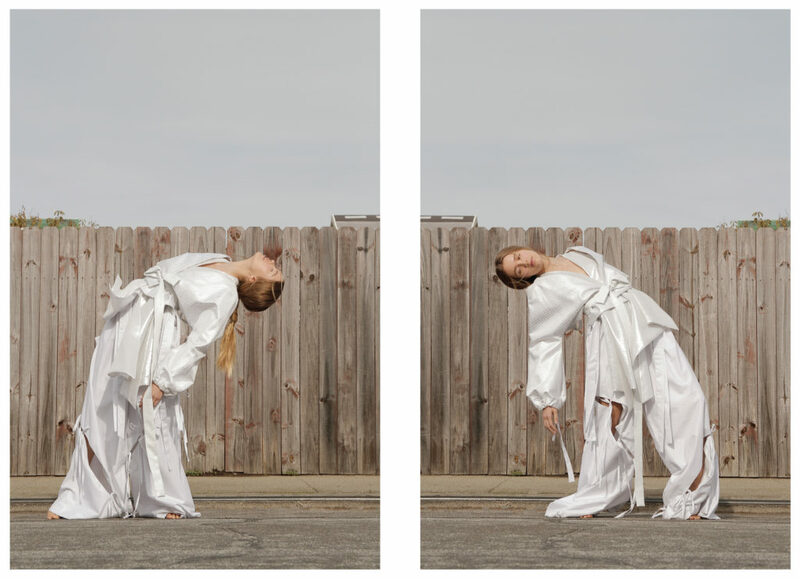 While browsing Chaw Chaw’s website, Flore Morton, Assistant Director of Fashion Styling, came across a new editorial that Chaw Chaw styled using clothes created by alumna Karin Kate Wong. “Seeing that photo shoot for the first time, it was a proud moment. I wanted to be the girl in the picture! She really managed to bring out the best in Karin’s collection. I think we’ve reached a point where the program has matured so that our students have a distinct point of view and a high level of professionalism,” reflects Morton. 180 Magazine caught up with Chaw Chaw to find out about her inspirations, her creative process, and her post-graduation plans. Where does your interest in fashion come from? CHAW CHAW SU SAN: I grew up in Burma (now Myanmar). When I was five years old, we got a satellite dish with international channels. Unlike other kids who liked cartoons, I wanted to watch Fashion TV all the time. My mother thought I wanted to be a model, but I told her I only cared about the beautiful clothes. My favorite part was the finale when all the models walked out and the designer appeared. I dreamed of being one of those designers. My parents had nothing to do with the art world, but my grandfather was a photographer. I have witnessed his way of carefully planning everything before grabbing the camera to take pictures. His artistic blood is flowing in me, and his love of fashion has been a huge inspiration. 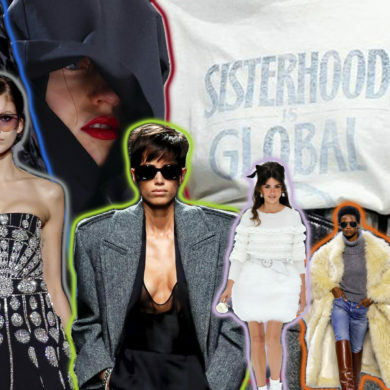 How did you start becoming involved in fashion? CCSS: In middle school, most kids said they wanted to be doctors, but I told everyone that I wanted to be a fashion designer. I had a little sister. I always dressed her up like a doll. Whenever I got pocket money, I went out and bought clothes for her. My mom complained that I spoiled my sister, but I loved doing it. I always liked dressing other people even if I wore very ordinary stuff myself. I mean, my uniform is head to toe black with sneakers. That’s how I realized styling suited me better. How has Burmese culture influenced your work? CCSS: Burma has a very strong traditional culture. It’s good at teaching kids to be polite and kind to other people. I never feel jealous. People can be very competitive in this field, but I only compare my present work to my own past work. I approach fashion the way I approach my life. It’s very instinctive, but I want it to get better and better. CCSS: I am quite moody. My work is moody, romantic, poetic. Fashion is not about being pretty. I feel like perfection is boring. I make things seem random on purpose, because I see beauty in imperfection. CCSS: I am a very sensitive person. I feel a lot, I think a lot. I always carry a journal, because inspiration can come suddenly. Once I get an idea, I write it down. My secret is that I always sketch how the clothes should look. Since I have design background, I can picture exactly what kind of garment, fabric, and color I want. I shop for outfits based on my sketches and the mood board. Then I decide the final look on a mannequin and draw another final sketch with complete details. This long process makes me very happy once I see the results. How do you balance your vision with ideas from your collaborators? CCSS: I used to be a very shy person, especially when I moved here and had to speak English. I decided it was important to listen. I learned to be patient and understand what they want. Now before I contact another stylist, makeup artist, or photographer, I make sure that my concept is strong and I can explain everything with keywords, storyboard, and illustrations. That really helps to find middle ground. I’m very happy with the people who knocked on my door so far or opened a door for me. I would work with anyone willing to achieve greatness together. Who are your fashion favorites or styling role models? CCSS: I live on Instagram! It’s where I do my research every day. I scroll through all the people I follow and take many screenshots. Currently, Harley Weir is my favorite photographer. I think her wholly analog approach offers fresh vantage points on the grittiness of eroticism, sexuality, and femininity. Since the beginning, Jacob K was my favorite stylist. Now I can’t take my eyes off the stuff by Olivier Rizzo and Camille Bidault Waddington. I would love to work with Lia Campbell and Hallie Wan. They really capture the moment of the people. 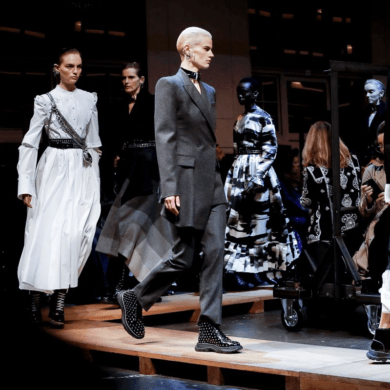 There are designers that I admire, too: Raf Simons, Demna Gvasalia, Simon Porte Jacquemus, and Martine Rose. What was your most memorable shoot so far? CCSS: Disharmonious Element. It was a project for a menswear class. I couldn’t find an idea before the deadline and even had a nightmare. I’ve had this recurring dream since I was young. A monster was chasing me in a very dark place. It choked me and I couldn’t shout. I’d wake up crying every time. So, I used that for inspiration. I had hand-sewn a lot of strings to represent the connection between the dream world and real life. The zipper was a symbol for my voiceless voice. If I have a chance, I’d re-shoot the concept and make it even more grim. What about the 180 editorial? CCSS: I saw Karin’s work on the runway and asked a mutual friend to introduce us. Karin told me her collection was inspired by bedding, which fit perfectly with the idea I had for a photo shoot. 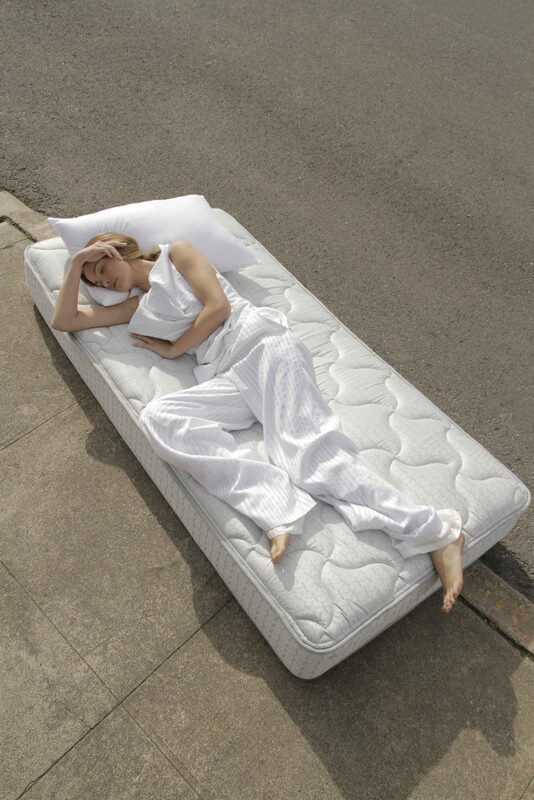 I wanted to use a mattress in the street and she loved it. We shot in my neighborhood and used my own mattress! It was fun. We put it against a delivery truck that happened to be parked nearby. The driver gave us permission, of course. I am so happy that these images are featured in the magazine. I want to thank Simon Ungless for the opportunity and Flore Morton for her guidance. Sometimes we had a different opinion on what’s what, but whenever she told me that things were not working, she pushed me to explore my ideas harder. I must admit she was always right. Three must-have things in your styling kit? CCSS: Clamps, double-sided tape, pins. Any Chaw Chaw advice for current or future Academy students? CCSS: For me the highlight was meeting such good people here! Be patient and kind with instructors and other students. That’s how I found my closest friends. Work hard, trust your instinct, be curious about everything. When you study and practice, you discover what you are good at, what you really love to do. My childhood dream may have change a little, but I still love fashion and follow my faith. Do your best and never give up! Words by Marisa Tania, BA Fashion Journalism. This story was previously published in 180 Magazine Vol. 9.